Gina Belforte, owner of the Santa Rosa franchise, has always called Northern California home, and she has lived in Sonoma County for the past 25 years. 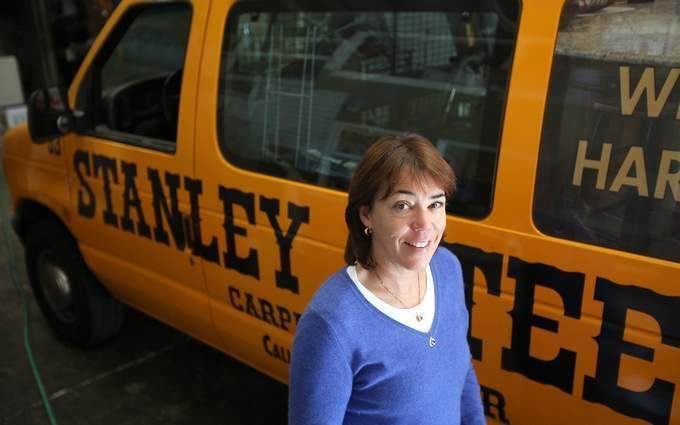 According to her, “The North Bay is a great place to raise a family and serve our community.” She has worked for Stanley Steemer for 25 years, and became an owner 6 years ago. The franchise is proud to be locally owned and operated by a staff of 20 in Sonoma County. There are nine services vans equipped to clean carpet, tile and hardwood. They also have one dustless hardwood refinishing van and numerous water restoration vehicles. The Santa Rosa, California franchise is a Clean Trust (IICRC) Certified firm. They hold certification in Applied Structural Drying, Applied Microbial Remediation, Fire and Smoke Restoration, Odor Control and Repair, Upholstery Cleaning, and Carpet Cleaning. They are also proud to offer the only cleaning solution that has won the EPA’s Design for the Environment Award – a cleaning solution that is safe for you, your family, and the environment. According to Gina, “Our Stanley Steemer is all about giving back to the community.” The franchise encourages this in various ways. They encourage their employees to take time off to attend school field trips, conferences and volunteer in the classrooms. They support school fund raising programs from elementary to the high school level. They provide special rates for non-profit groups and those in charge of low income housing. Gina, the owner, is a current member of the Rohnert Park City Council serving on the Economic Development Committee, Education Committee and the Water Committee as well as the Legislative Committee. The staff is involved in BNI, and the franchise is a member of the Better Business Bureau, the Santa Rosa Chamber of Commerce and North Coast Builders Exchange.